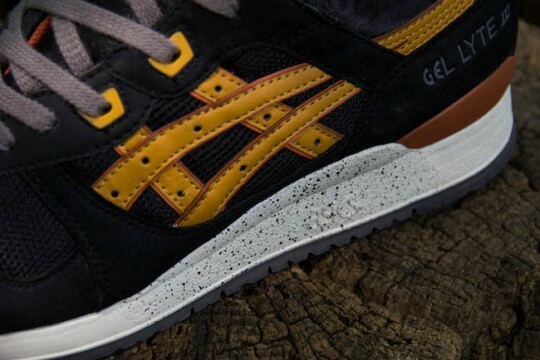 The Asics Gel-Lyte III in Black/Tan style and the Asics Gel GT-II in Olive/Dark Brown. The original Gel Lyte was designed In 1989, since then there has been many releases of slightly different styles. The GT-II was first released in Japan in the early 90′s and is an iconic runner from Asics.